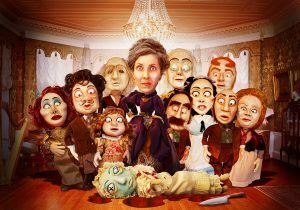 Agatha Christie Returns from the Dead to perform a Puppet Show. It’s New Year’s Eve 1899. One by one, an enigmatic cast of characters arrive by boat to the haunting and isolated Monkswell Manor. That night, famous murder mystery author Gertrude Crump is murdered… mysteriously! No one can leave until the truth is uncovered. As the characters investigate, accuse, suspect, confess, plot, flash-back and engage in general hubbub, the audience is charged with the task of answering one simple question: Who Killed Gertrude Crump? Artist: Who Killed Gertrude Crump? 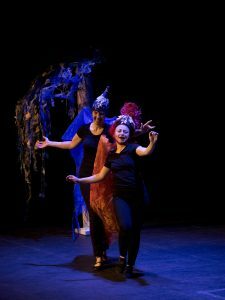 A (mostly) brand new cast will be touring our TYA production of Shakespeare’s Dream to schools and theatre’s across BC from January 22nd to May 3rd. Sydney Hayduk will be returning in her roles as Hermia, Lysander and Titania. Carly Pokoradi will be playing Helena, Demetrius and Oberon. While Mack Gordon will be playing Shakespeare, Puck, Egeus and of course, Helena’s ex-boyfriend Tony.